I like to practice yoga at the end of the day because it helps me to integrate, accept and release. Yoga is about strength, balance, focus, self control and clarity. *Student testimonial disclaimer: Your results may be better or worse! 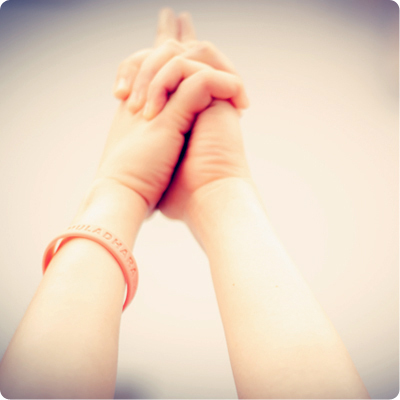 Sunstone developed the Focus Wristband program in order to recognize our student’s achievements and encourage each one to reach a higher level of achievement in their practice. Each band represents a different area of focus and symbolizes stages of growth and understanding in body, mind and life. The 10 class wristband represents our appreciation for your attendance and dedication to your practice. It should serve to encourage you in your continued development of a regular fitness routine. Keep up your momentum! Reaching the 10-class mark is significant. It indicates that you have a desire to discover what this regular practice can bring you. Don’t forget to schedule time to regularly attend class. It is an important step in developing greater fitness at Sunstone. The 100 class wristband serves as a reminder of the importance of balance. At this point in your practice you have probably become more observant. Allow this to help you achieve greater balance both in and out of the studio. Once in a while going back to basics is necessary in order to achieve progress. Look in the mirrors during class, connect with your breath and focus on balance in your postures. Remember the importance of hydrating both before and after class, and don’t forget to honor your body where you are each day. The 25 class wristband is a nod to the effort you have put into laying the groundwork for a solid fitness routine. Be aware of the strength you have built and continue to strive for improved physical and mental health. You have become familiar with Sunstone’s methodology and at least some of the class series. Mix things up to stay engaged in your practice. Try each class, attend classes of varying lengths, and bring a friend. At 200 classes, we encourage you to focus on openness. You have developed a strong foundation for continued advancement, a more full understanding of your purpose, greater balance in daily life, and openness in your mind and body. Focus on calming your mind during practice and remain aware of the intention you set at the beginning of each class. Feel confident in the positive results of your efforts. The wristband for achieving 50 classes recognizes your dedication to class attendance, and acclimation to the heat and intensity of our environment. Your body is stronger and you have positively impacted the capacity of your lungs, and the flexibility of your hamstrings, shoulders, and hips. As you continue to progress, focus on feeling good in your practice. Advance your practice through attending workshops offered at Sunstone Academy or Special Classes offered in-studio. Both options allow you to acquire a deeper understanding of the Sunstone series and can help you to reinvigorate your practice. 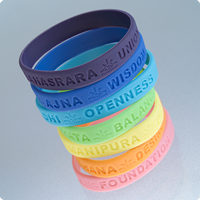 The 350 class wristband signifies the wisdom you have developed through your practice. You have made progress physically, and gained knowledge of your body and its capabilities. Focus on visualizing progress in your postures. Imagine it, and then do it. You are pursuing a passion, and will continue to progress as long as you continue to practice. “Aha” moments can become more infrequent as your practice advances. Breakthroughs during class may happen less, but when they do, they have the potential to be very impactful. Purpose is the focus of the 75 class wristband. You have reached a new stage in your journey with Sunstone: a deeper understanding of your unique body and mind, and the reasons you pursue improved fitness. Let the understanding of this purpose continue to motivate you in your pursuit of greater mental and physical health, and focus on what drives you in your practice. Do not let your knowledge of our series allow you to practice mindlessly. Stay engaged. Take the opportunity to really work on a specific posture during class. You may always ask your teachers for guidance to gain a better understanding or further knowledge of a pose. The final wristband represents union. Over the past months and years, you have dedicated yourself to achieving a level of fitness and inner growth you may never have imagined possible. While there is always more to learn, you have reached a level of mastery that unites all the essential elements of your unique journey. Foundation, desire, purpose, balance, openness, wisdom and union are all yours. You are a pillar of the Sunstone community, which is only as strong and supportive as the students in it. You have demonstrated your commitment to your community, and we encourage you to continue to build it.